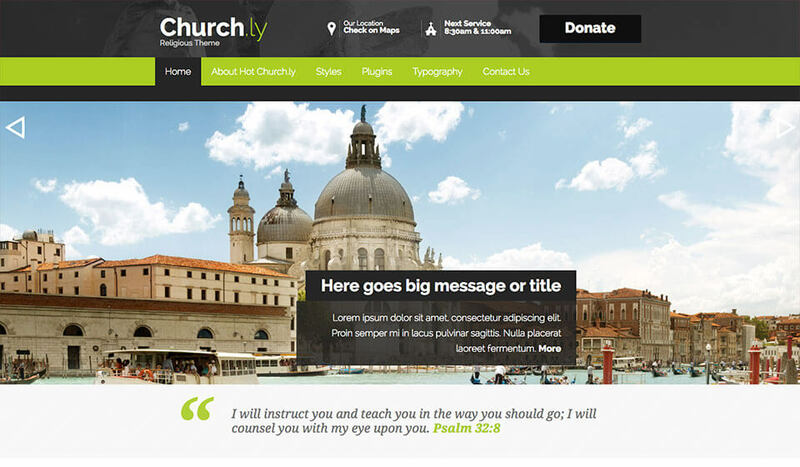 WordPress Church themes are dedicated to the religious communities. There are many religions and they propagate various ideas. Modern religious communities use modern ways of communication. Beside live communication, they communicate with their believers via Internet through a community website or social networks. 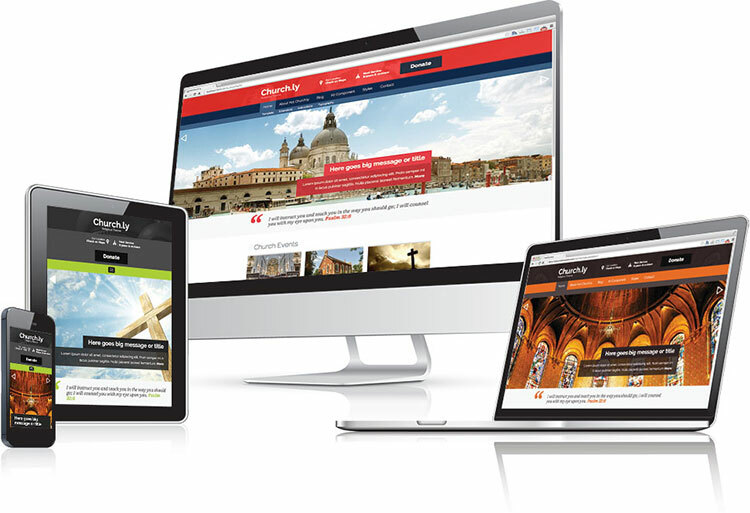 WordPress Church themes should be designed to help all religious community’s web masters to make a modern responsive website. Hot Church.ly is one of such themes. The church’s website will present their church or religion. It will be also used for communication with believers. 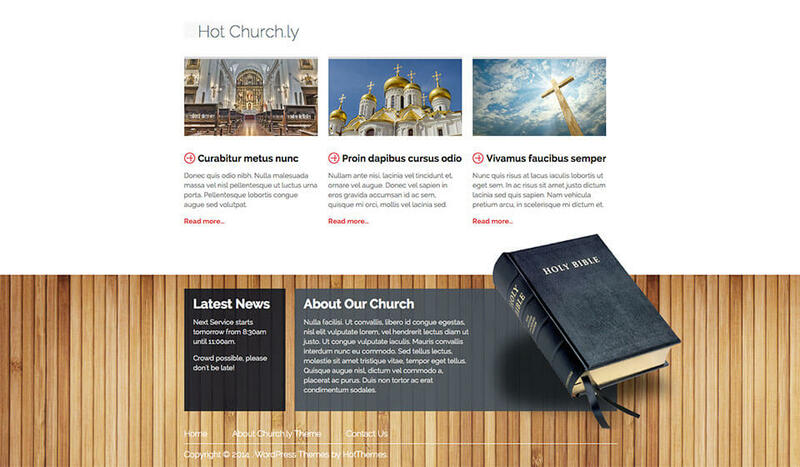 Visitors will enjoy all those cool features that WordPress has with WordPress church theme – Hot Church.ly. This theme will also extend WordPress as it includes several plugins, mostly for photo slideshows and location maps. 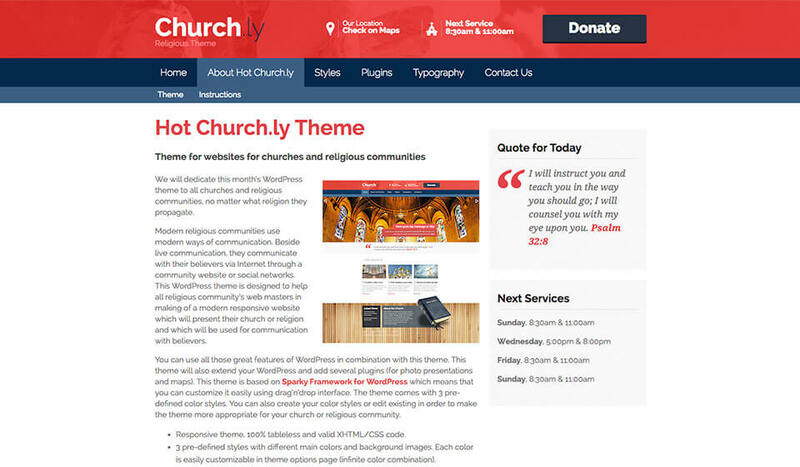 Based on the Sparky Framework for WordPress, Hot Church.ly can be customized easily. 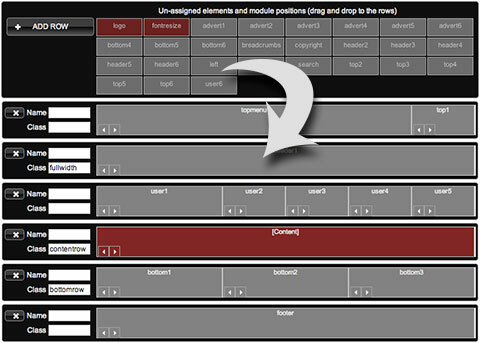 You can create your layout using drag and drop interface. The theme comes in 3 pre-defined color variants. You can also create your own color styles or edit existing. 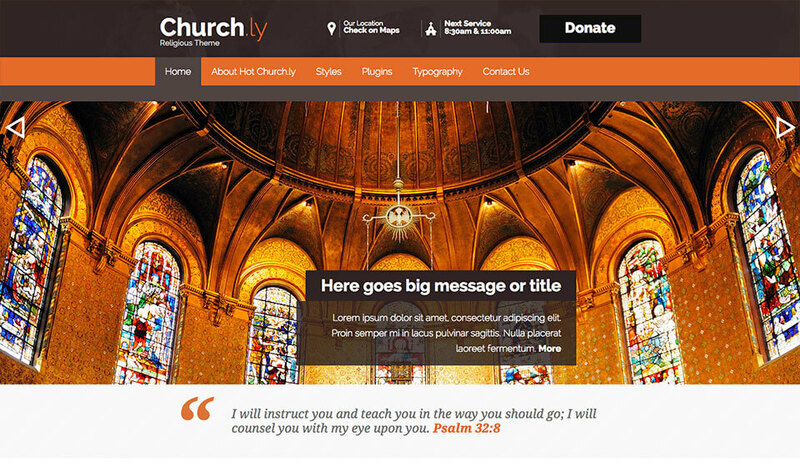 It would be nice if your WordPress church themes allowed you to make changes easier. 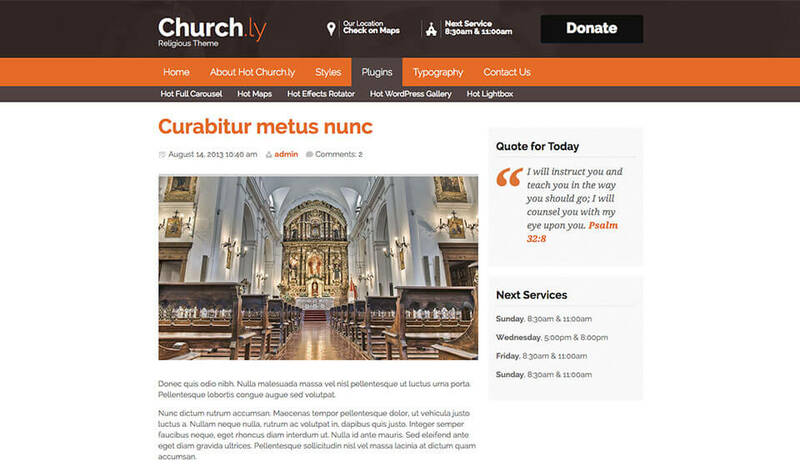 With Hot Church.ly, you can make your site appropriate for your church or religious community without too much of hard work. 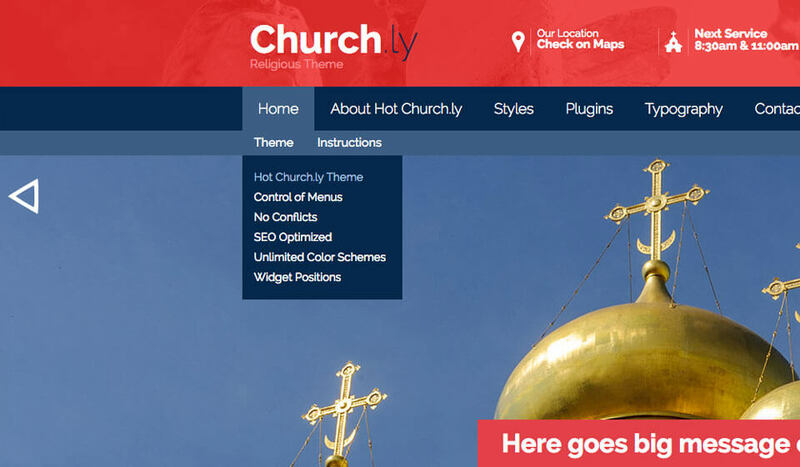 Hot Church.ly is available for all HotThemes club members. It can be also purchased as single product and used on unlimited number of websites, with or without modifications in the theme code (GPL license). This is also valid for all WordPress plugins that’s included with this theme. 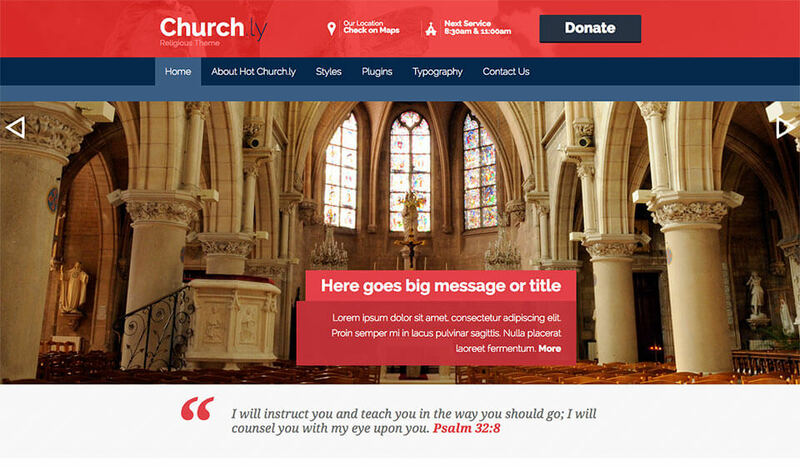 Hot Church.ly is a responsive WordPress theme. This means it will look good and optimized on all desktop and notebook computers, as well as mobile devices (tablets and smartphones)!